You might not think you know any Glen Campbell tracks but watching this documentary you could well be taken aback with how much of his back catalogue is a part of general musical life. I for one shall own up to my own ignorance on the matter. I went into the watching this, not being a huge country fan, thinking that however fascinating it might be it could also be on musical sufferance. What was extraordinary was how much of the music from Glen Campbell’s career I knew and how well I knew it. Witchita Lineman is a brilliant, brilliant piece of work and possibly best known song, Rhinestone Cowboy, will be known be all for its chorus alone. Discovering this made the watching of this documentary even more bittersweet. Glen Campbell has Alzheimer’s, and is now officially retired. Now withdrawn from public life Glen Campbell: I’ll Be Me is his valedictory performance, a goodbye to his fans and the public. What’s amazing about the access to director James Keach’s film crew has, is this documentary is present at the moment Campbell receives his diagnosis. Going public about the diagnosis in June 2011 (so the audiences of upcoming shows don’t wonder why he might be behaving unusually on stage) a huge tour is embarked upon. We share with the family as they travel with Glen as band and support group, across the world making his last public performances. This is him saying goodbye to his fans for the final time. As the tour progresses the condition worsens and his health deteriorates. With each stage appearance the teleprompter with lyrics and song order becoming more and more necessary. There are some uncomfortable moments when, in front of the crowd, he loses his way – almost like coming round from a dream and not knowing where he is. Captured on camera they are upsetting to watch. The news is public, but there is never the sense that the audience have come to see a car crash of a concert play out in front of them. They love him, and they love his music. And if, as happens on occasion, he ends up playing a song more than once, so be it. The fans are almost as an important support to Campbell, in their desire to see their musical hero play live, as his family. With the support of his family playing instruments around him it is clear this is where he feels most alive, whether it is with full lucidity or not the expression of joy in performance is palpable. An uplifting sense that things will be okay, even facing the darkest odds of the disease. And the one thing that his memory leaves hardwired is the ability to play music on his instruments. So deeply ingrained is that ability that it is second nature, despite the slow and painful onset of dementia. He’s a nice guy and well thought of in the industry, and commentators such as Taylor Swift and Bruce Springsteen explain what Campbell’s music means to them. It is clear that his loss to music is a horrible waste of talent. As such the film is very quietly heartbreaking. With his family around him the struggle gets harder as the tour goes on. All the people on camera are holding it together, battling through what is essentially grief for someone who is still living. Every day less of the person they knew is there, and the sadness and feeling of impotent frustration is clear on their faces. In a key lucid moment Campbell breaks down in tears and suddenly the whole film coalesces into the painful truth. He’s not the baffled looking lost child the illness makes him appear; he is saying goodbye, but doesn’t want to go. The film is a touching and revealing documentary not only about the life of a famous singer/ songwriter, but also about how Alzheimer’s effects everyone surrounding the patient. It is a sad and touching piece of work. 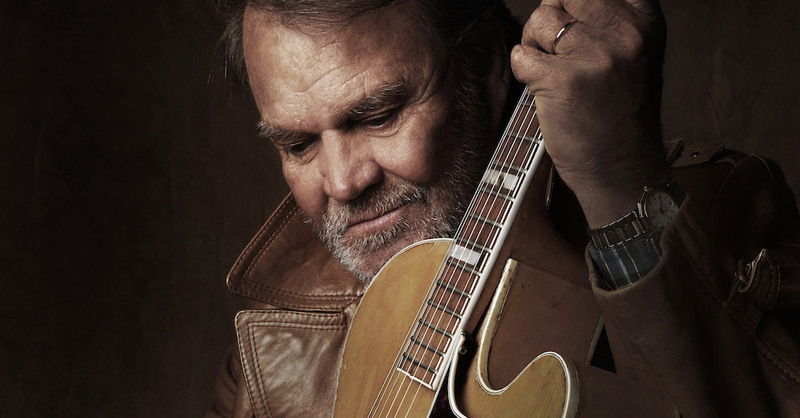 Glen Campbell: I’ll Be Me is out on DVD now, and definitely worth a watch.